A résumé is often the first impression a potential employer has of a candidate. Absent a referral or previous relationship, that piece of paper (or, increasingly, digital document) trying to list as many credentials and as much experience as possible is what will often make or break the applicant’s chance to move on to the next level. Candidates know this. That’s why it can be tempting for some applicants to give themselves an edge by “exaggerating” some credentials. Still, others may be tempted to make them up entirely. This isn’t just an issue with entry- or mid-level positions. There also have been incidents of high-profile executives being caught for lies on their résumés, leading to embarrassment and resignations. Some may argue that if an executive—or any employee for that matter—is able to meet the requirements of or even excel at the job, his or her actual credentials shouldn’t matter. Recruiters, however, have a big problem with those who lie on their résumés. According to a recent survey conducted by TopResume, 97% of the respondents admitted that discovering a résumé lie would cause them to reconsider—if not immediately dismiss—a job candidate. 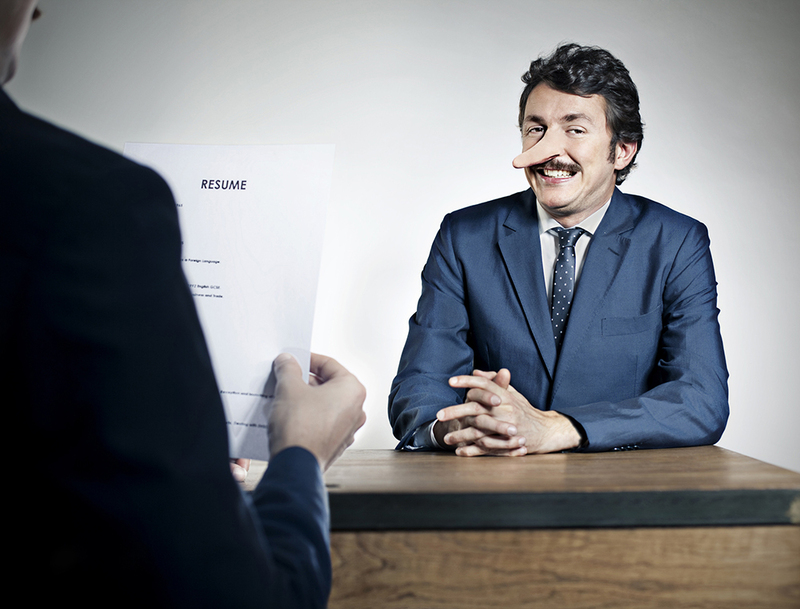 It can be tempting for job applicants to lie or exaggerate on a résumé, but the costs often far outweigh any potential benefit. Even an applicant who successfully gets through the process with some falsehoods will have the specter of discovery hanging over his or her shoulder for the duration of his or her career with the unwitting employer. For recruiters and talent management professionals, these numbers may be a necessary wake-up call to consider how they are currently guarding against being taken in by candidates’ exaggerations or falsehoods.